1. 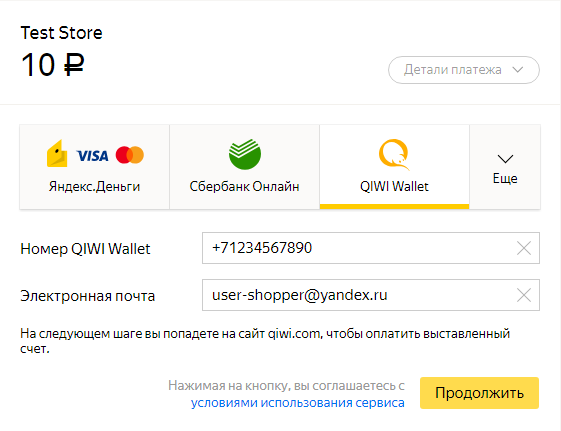 Select the QIWI wallet payment method in the store where you are going to pay, or on the Yandex.Checkout page. 2. Specify the phone number used during the registration process of the QIWI account. Specify your email address to get a receipt. 3. Click Continue, and you will be redirected to the QIWI website. Sign in with your username and password. 4. The invoice payment page will open immediately after you log in. Check the payment details and amount, and click Pay. 5. Done. 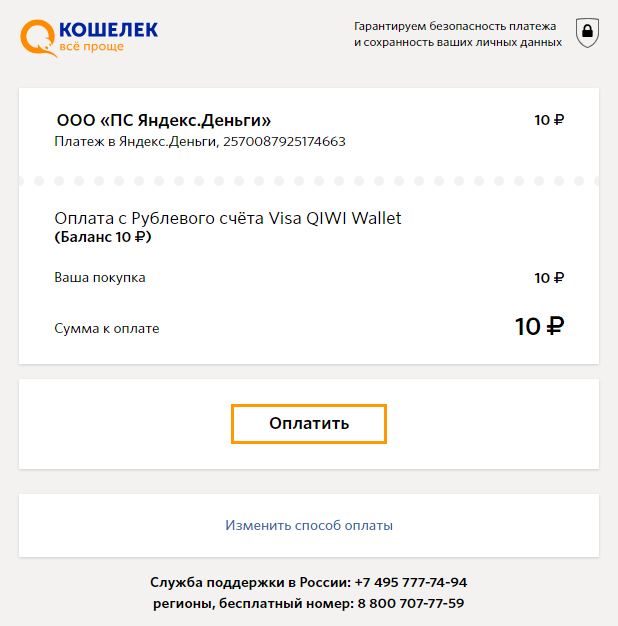 Payment is complete, and the QIWI service will automatically redirect you to the website where you started the payment process.